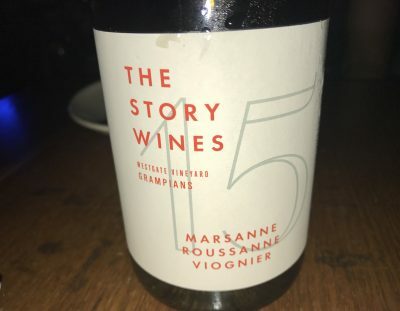 Rory Lane’s Rhone blend comes from the Westgate Vineyard in the Grampians, which is a great spot for Shiraz (which by conventional wisdom all Rhone varietals). This blend was wild fermented in old oak with full malo. Looks it too, with a richly rounded texture that initially suggested more new oak. It’s chunky. Actually, it’s almost milky. Underneath it’s broad, with a stonefruit-in-cream fatness that tends to show more winemaking than varietal marks. It’s still full-flavoured and charismatic, but you get the impression it would have been a little more interesting if it was a bit more vital. Still an enjoyable mouthful or two. Best drinking: 2017-2019. 17/20, 90/100. 13%, $29. Would I buy it? A glass or two.